All feedback is read by the StatCounter management and developers to improve the service. However, this is not a support channel. If you have an issue that requires assistance please visit the support section. Let us know what you think of the new filter feature, and what new filters you'd like to see on this page! StatCounter provides free customisable hit counters, visitor tracking, web analytics and website stats for Tumblr. 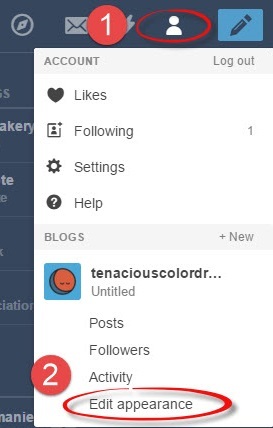 Log into your Tumblr account (opens in a new window) with your username and password. Go to the person icon at the top right of your screen & select "Edit Appearance" from the dropdown menu. On the new page, select "Edit Theme". On the "Edit Theme" screen paste the code in the "Description" section & check that "Show Description" is turned ON. 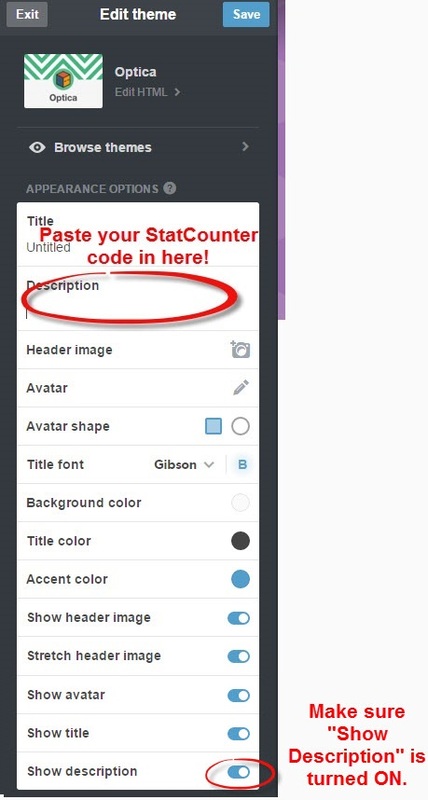 StatCounter is now active on your Tumblr site and will immediately begin recording visitor information. © StatCounter, All rights reserved.